First-time novelists are often advised to stick to one protagonist and one antagonist; sketch minor characters lightly; use a three-act structure, either first person or omniscient (never both); show don’t tell. Bill Clegg’s impressive, Man Booker long-listed first novel breaks all such writing “rules”. It is a simple story: a few hours before her daughter’s wedding is due to take place in her garden in the fictional town of Wells, Connecticut, fire destroys June Reid’s house, killing everyone inside. Another writer could tip the story into sentimental schmaltz, but Clegg relies on understatement to deliver an effective counterbalance to the drama. It isn’t surprising that Clegg’s imagination is an agreeable companion – we share a favourite book. Earlier this year he revealed A Scots Quair as one of his ‘books of a lifetime’. 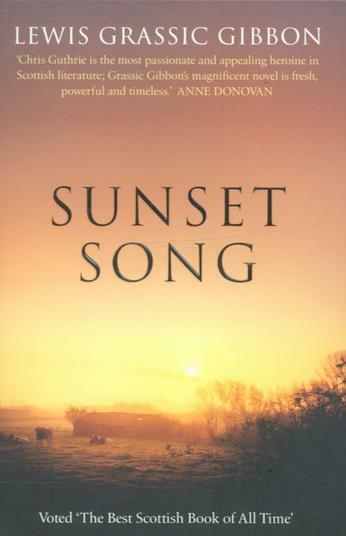 Readers of Bookrambler will know that Sunset Song, first in the trilogy, is a longtime favourite of mine – Chris Guthrie all time heroine, Long Rob of the Mill, favourite minor character. It’s a super trilogy.